The Drakes passage is one of those names anyone planning a trip to Antarctica will either dread or relish. This is the strip of sea separating the southernmost tip of South America and Cape Horn from the Antarctic Peninsula. Named after the legendary explorer Sir Francis Drake, it is one of the roughest seas in the world, and having travelled across it twice, I can vouch for it's ferocity. As with much of my time in Antarctica I find it hard to put into words, and I feel the Drakes Passage is really something you have to experience to understand. In the paragraphs below I will attempt to convey to you what this beast is all about. In short, yes, yes it bloody well is! I don't get seasick and I never have done before; was I seasick on the Drake? God yes, and bad. 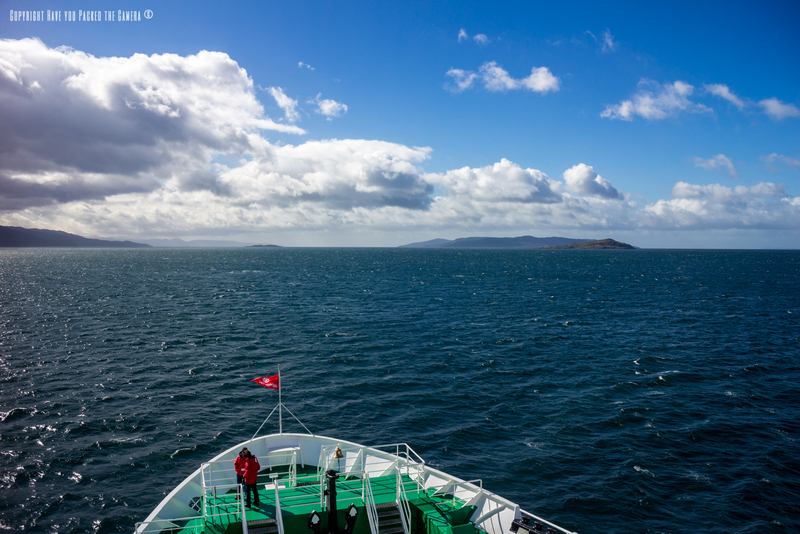 You set off from port in high spirits, the calm waters of the Beagle Channel seem perfect. Next the mountainous land mass of Patagonia slowly disappears and you are suddenly confronted by open waters; the choppy, windy, violent and turbulent waters of the Drakes Passage. This is where things become "interesting". I felt fine on the first morning – I had breakfast and attended a lecture on Penguins. After that things took a turn for the worse and I was done for, I felt as sick as a dog and really disorientated so I crashed in my room for the rest of the afternoon and missed the evening meal. The motions of the ship were becoming evermore pronounced, lurching from one side to the other, crashing into the waves and rocking to incredulous angles. Sometime in the evening I decided I couldn't carry on like this, so I paid a visit to the ship doctor and she took one look ad me and gave me some delightful pink tablets "take one of these every six hours" so I did, they worked, praise the lord! The next day I felt fine and 95% back to normal. I enjoyed the lectures, I got to know my fellow travelers and dare I say it, enjoyed my Drake experience. The return Drake was even more violent and I doped myself up on tablets beforehand to minimize the damage. Unlucky for me I was also nursing an immense hangover so I spent much of the first day in bed! "An endless mass of blue in all directions; the sky and sea mingle into one hazy blur. Gale force winds whip past the ship, howling and gaining momentum, unimpeded by the vast expanse of the ocean. Unimaginable waves crash around you in all directions, their power rocks the ship violently and sends sprays of icy cold water onto the rain soaked decks. There is no end to the assault on your tiny vessel, it's relentless and unceasing; you feel insignificant against such an awesome force of nature." You may think I am being overly dramatic, I don't think I am; I will let you be the judge if you cross the Drake for yourself. 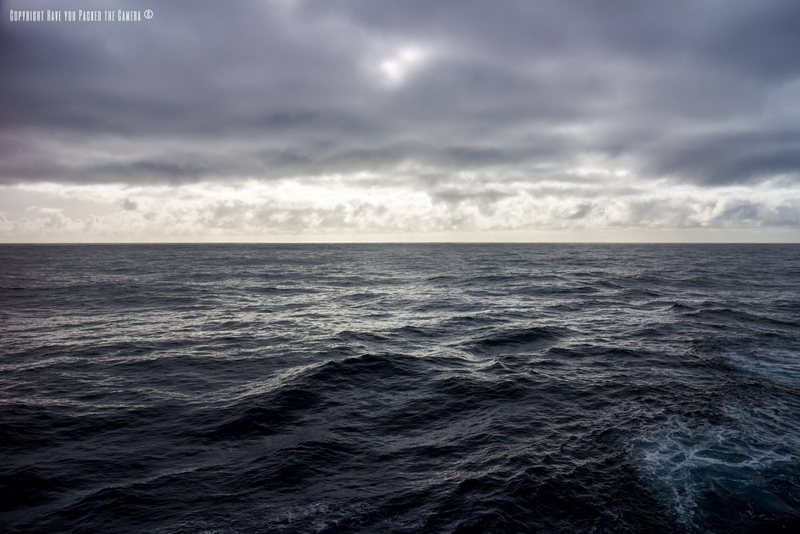 I would encourage anyone who does to fully enjoy the experience; go out onto the decks and feel the winds and rain, watch the birds that will circle the ship – It really is a fantastic spectacle and a memorable part of any Antarctic Journey (Once you get past the seasickness). 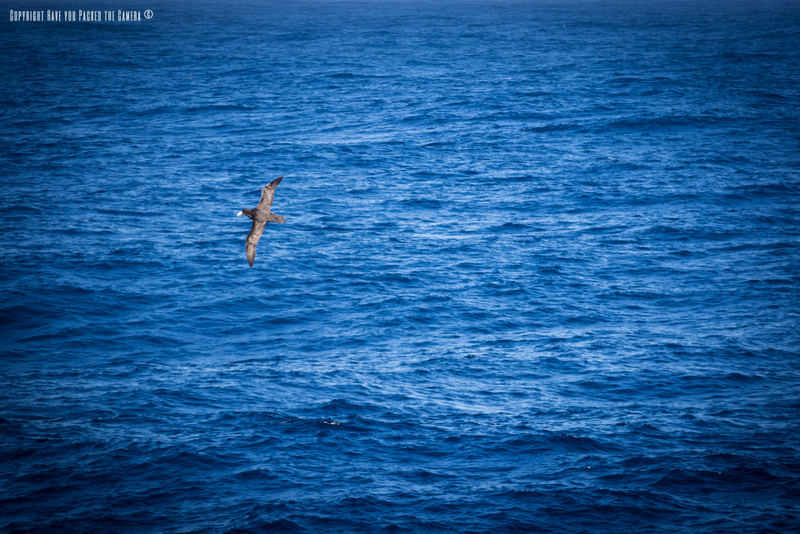 I got to see a Wandering Albatross and some stunning varieties of Giant Petrel's flying past the boat – the way they glided ad soared on the wind currents was quite amazing. 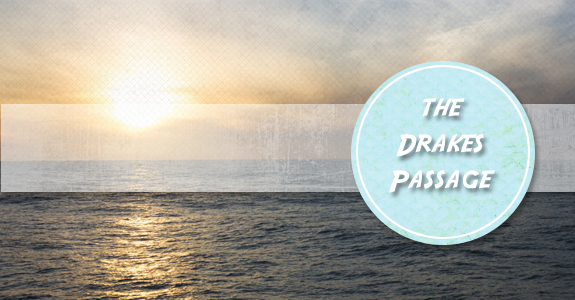 If anyone else has experienced the Drakes passage I would love to hear what the conditions were like and how you survived, please leave a comment!